There has been no shortage of liberal folks in the media making absolute shameful fools of themselves this week. Whether it’s so-called “comedians” wishing that they could punch the MAGA-hat wearing teen in Washington or liberal pundits on the news lying to the American people about the circumstances of the incident, a whole lot of people showed their true colors. Less than a year after Parkland, when all of these same people were telling us it was the height of our disgusting alt-right world for conservatives to attack David Hogg and his cohorts, the left showed us this week that they are hardly above launching a movement to destroy a teenage boy. But radio superstar Rush Limbaugh was more disturbed by the many conservatives in the media who decided to hop on the teen-shaming bandwagon. Most of them NeverTrumpers by trade, these conservatives didn’t wait a second before buying the mainstream media narrative hook, line, and sinker. And while most of them have since apologized profusely for jumping the gun, Limbaugh said it was in all of our best interests to remember these individuals and adjust our judgements of them accordingly. 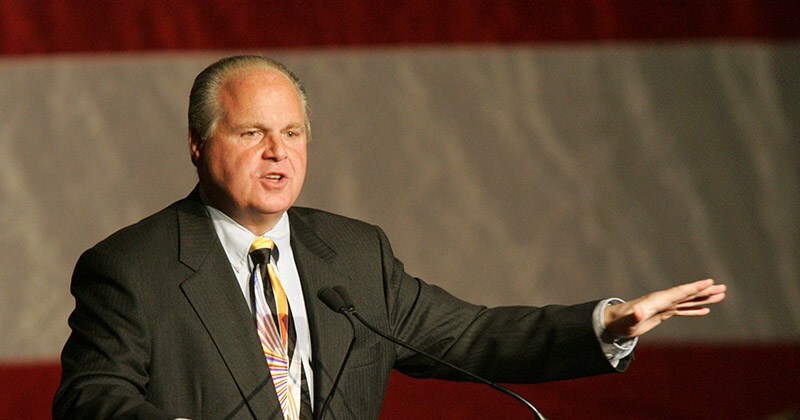 “None of this would have gotten anywhere near as far along as it has if we had any winners on our side rather than graceful losers,” Limbaugh said. “We were willing to gracefully lose the election. These people, some on our side, have admitted they voted for Hillary Clinton rather than Trump. By the way, you can expand Limbaugh’s comments in many directions, including the conservative media credulity on the BuzzFeed story about Michael Cohen last weekend and the condemnation over Rep. Steve King’s supposedly “racist” remarks to the New York Times. One of these days, conservatives are going to wake up to the fact that we are in a cold WAR against the left in this country. Maybe then they’ll stop falling for these obvious decoys.